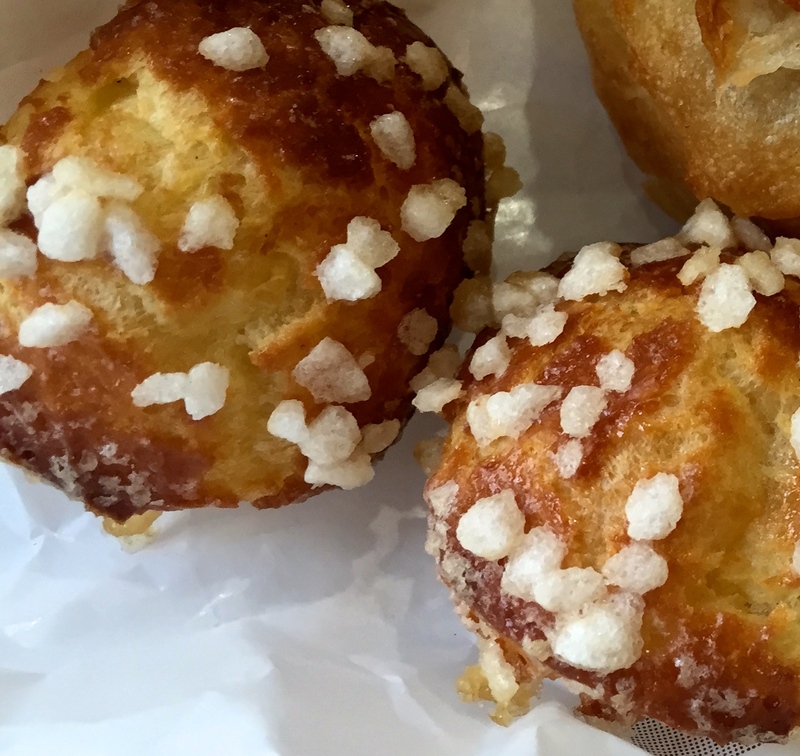 Boulangeries all over Paris offer little one-bite puffs of pastry coated with big sugar crystals. They’re called chouquettes and are the perfect lit tle snack. 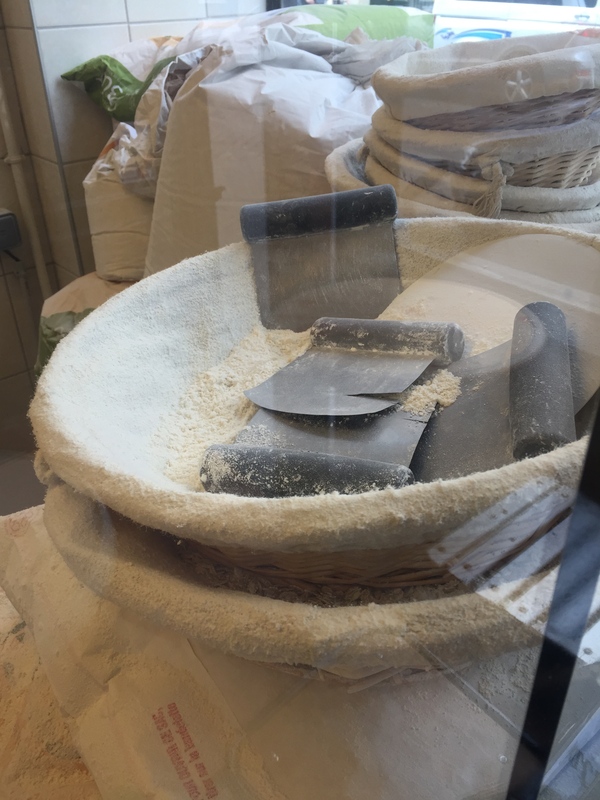 Those at a boulangerie on a quiet street in the 19th taste like eggy, sweet, airy French toast–unlike any others I’ve enjoyed (and I’ve had many). Yum. This bakery drew me in with its old signs and large windows looking in on giant, heavy sacks of “bio” or organic flour. 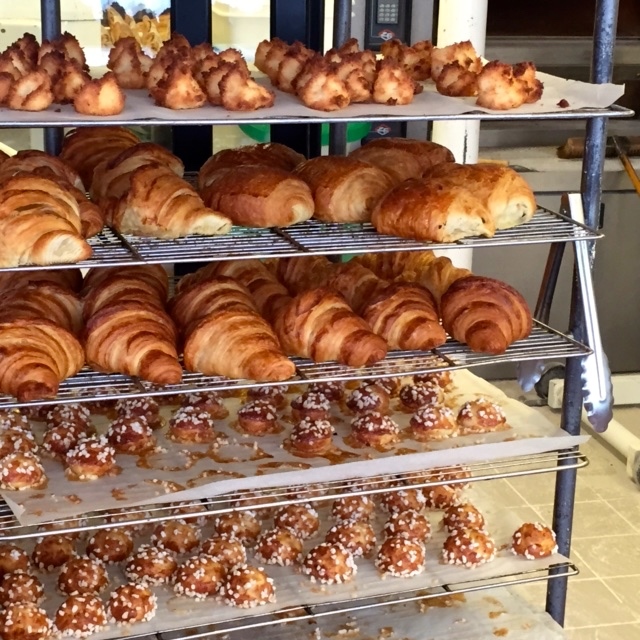 The marble counter piled high with croissants, rye bread, pain au chocolat, and a multitude of fresh golden brown-crusted loaves all beckoned. Only once I was inside did I realize that this isn’t just a good local bakery. It’s also organic. And kosher (!). But back to Sareden. 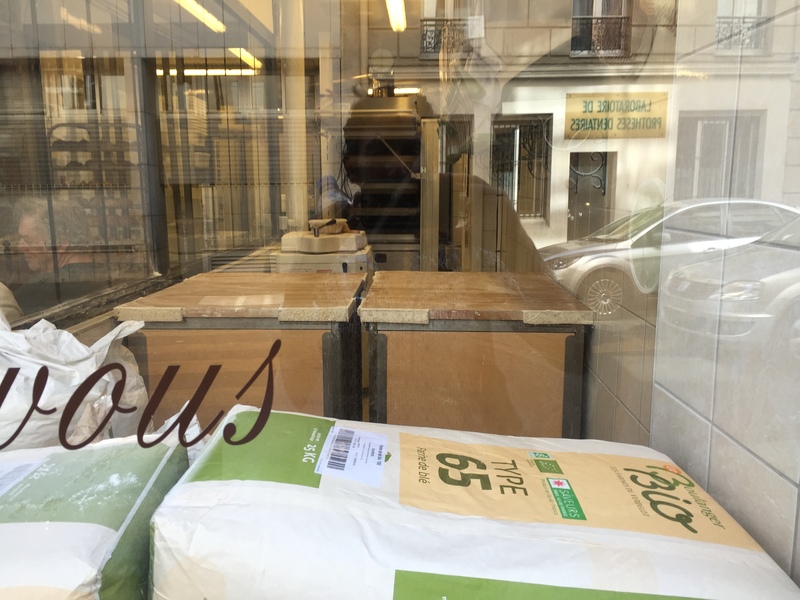 The friendly woman at the counter said the bakery is three years old and it’s the only organic kosher bakery in Paris. The chouquettes were my favorites of the items I tried, but the pain au chocolat was also very good ,as was a sesame loaf with an addictive, aromatic and soft interior. 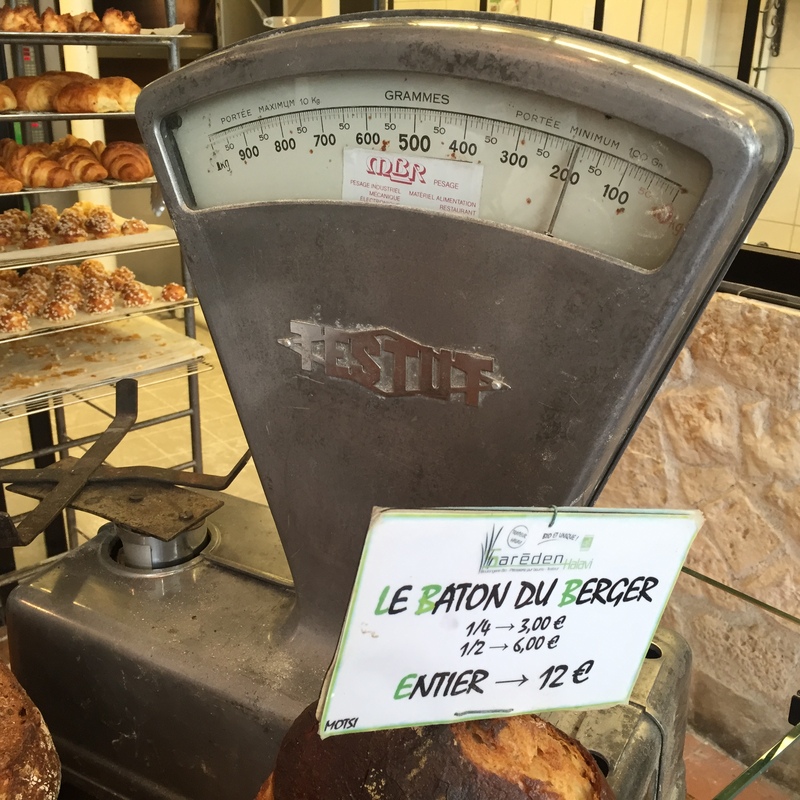 If you plan to go there, make sure you go to this bakery, on rue d’Hautpoul and not their sister bakery, also called Sareden on Rue Petit. That one is dairy free and the lacks charm and beautiful range of baked goods.